The quail start turning two weeks old tomorrow. I am astonished just how quickly they grow and feather. They have doubled in size have all their wing feathers in and some are up to 80% feathered already. Whilst I knew they had three weeks brooding, instead of six. Reach POL and table weight at 6-8 weeks, I am really surprised at how fast they change (everytime I top up their water). Friday I had a quail incubation panic. When do I top up the tanks and turn the turner off? There seems to be some disagreement, depending on the type of quail as to when they should hatch. I decided to go with day 14. While making the changes to the incubator I noticed that two of the eggs had pipped. Saturday we had one chick, Sunday we woke up to loads, mostly brown and stripy, a couple of golden. 13 were removed last night to the brooder. This morning we awoke to a load more, though one of the golden chicks didn’t make it through the night. I have just moved another 15 to the brooder, leaving two goldens in the incubator to dry off. I pulled out an weeping bad egg, and one where the chick had died after popping its beak forever poking through the shell. There are still eggs pipping, and hatching. 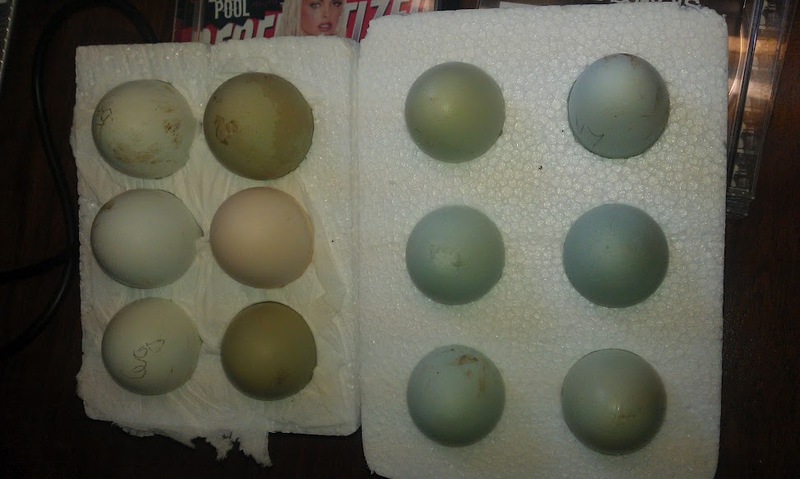 Count so far 71 eggs, 1 infertile, 1 dead in shell, 1 dead, 29 quail chicks.